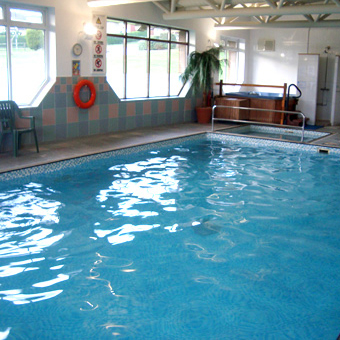 This fabulous venue offers ample free onsite parking and Swimbabes members are welcomed to use the bar and restaurant areas before or after baby swimming lessons. 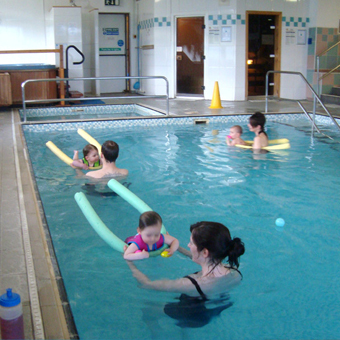 The pool is lane roped and we have use of 2m x 5m and heated to 30 degrees, ideal for our more active toddlers swimmers, however for the very small baby swimmers we would recommend you purchase a baby wetsuit. 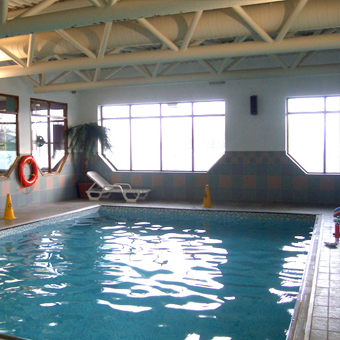 The changing rooms at Cedar Court Hotel, Huddersfield are small, however offer free lockers and hairdryer facilities and request that car seats and buggies are not brought in to the leisure area. 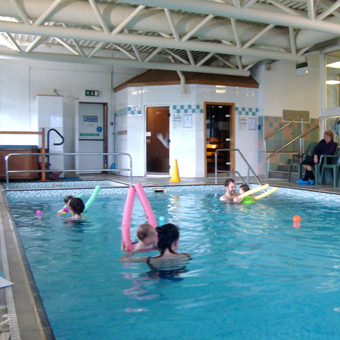 This venue is a busy one for Swimbabes Lessons, and due to the changing room size there can be a small delay in using the changing rooms at swimming lesson change over. Spectators are welcome to watch from the side of the Cedar Court Hotel, Huddersfield pool. "Teachers are Fantastic With Children"
The teachers are fantastic with the children, they are always positive and make the lesson not only a teaching lesson but an enjoyable experience for them. They have immense patience and the ability to get them through any difficult times. Astrid has been coming for about a year and loves it now.